Workforce development through an apprentice program for people with barriers to employment. 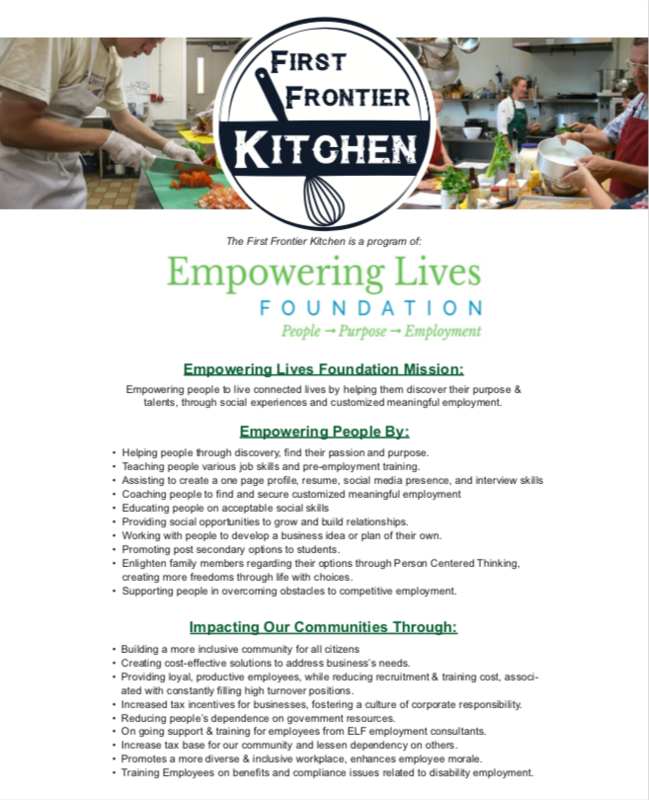 Where we teach the skills needed for employment in foodservice and food manufacturing, as well as, the life skills to remain successfully employed. Our apprentice programs will graduate more than 60 people annually into meaningful employment in this region, where Hospitality & Ag jobs account for 30% of all employment. Culinary launch & boot camps for food Entrepreneurs looking to start a food related venture such as: food trucks, restaurants, manufacturing, value added for farm products, and bakeries, or caters. We offer shared kitchen space for an hourly rental fee with a membership you get access to chefs, marketing, branding, finance, and legal experts to support you in growing your dream. We expect to launch 12 new food related businesses into the First Frontier Region annually. 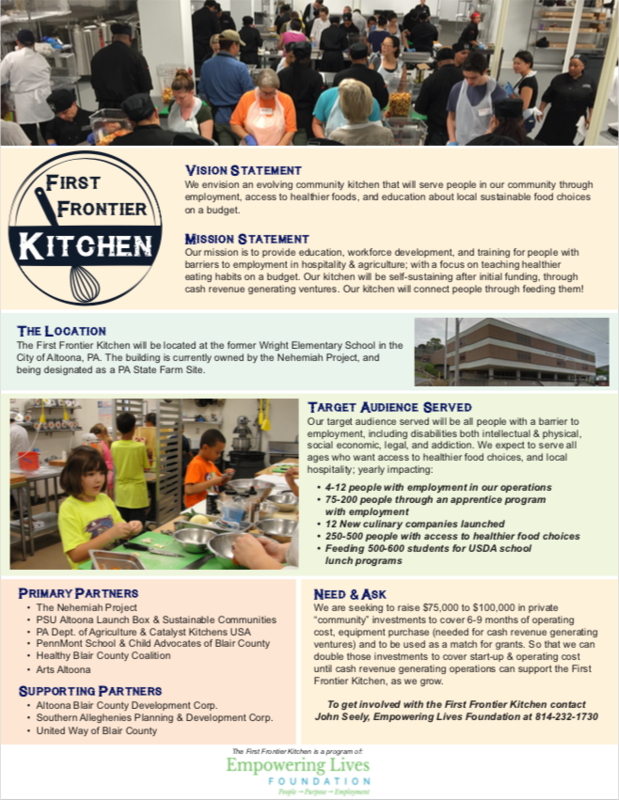 Coming in 2019 a theatre kitchen to teach healthier food choices and provide better access to a population in a food desert. A Hydro/Aquaponics growing areas, mushroom growing cave, blast chiller, canning line, organic line, and value added areas for dairy farmers. Week 6 – how & where to get financing listen to local banks, funding agencies and angel investors. Possible pitch opportunity! Classes offered starting in June 2018! Must have current insurance, serve safe or FMP certification, and current Pa health permit, and attend a FFK orientation. A free half hour dedicated to cleaning will be added for any rental over 2 hours.